The halfway point of the two-year exemption period established by the federal government in recent amendments to the Canadian Aviation Regulations (CARs) for the oversight of business aviation in Canada is basically here, and there is still much confusion in the process for private operators. 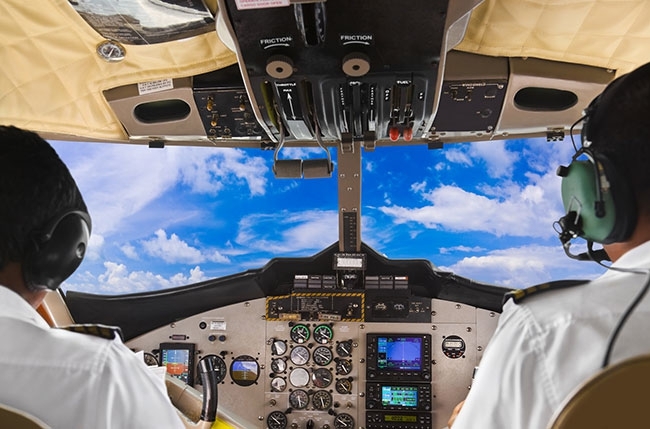 In May 2014, the Minister of Transport announced new, all-encompassing amendments affecting requirements regarding registration, flight operations, personnel requirements and training programs, emergency equipment, maintenance, cabin safety and safety management systems (SMS). The revision was significant, with more than 150 new provisions. Many of the provisions set out comprehensive lists of requirements. Section 604.86, for example, lists the requirements for aircraft safety features cards including details of how seatbelts are used, the location of emergency exits and details of when and where smoking is permitted. The new regulations were based on a ministerial decision that the certification and oversight of private operators were core responsibilities of Transport Canada (TC) that should not be held by the private sector. The decision was made after the November 2007 Fox Harbour landing accident (a business aircraft landed short of the runway). Previously, the Canadian Business Aviation Association (CBAA) oversaw licensing and operations of private operators, and was responsible for issuing Private Operator Certificates (POC). The CARs required POC applicants to become members of the CBAA, submit specific documents for review (e.g. operations manuals), and undergo a successful pre-certification audit (including payment of a $1,700 fee in 2010). Initial and recurring annual certification dues were based on fleet composition. POC holders had to undergo recurring safety audits every one to three years. Under the new system, applicants are not expected to go through a pre-certification audit, and would only have to provide general biographical information to receive a Private Operator Registration Document. Registration holders will have to undergo recurring monitoring activities every one to seven years based upon their specific risk indicators. These activities would include program validation inspections, process inspections and assessments. There are no fees for registration or the recurring monitoring activities, resulting in savings for current and future private operators. TC’s goal with the new system is to reduce the administrative burden placed on private operators. The 24-month exemption period implemented by the minister is due to expire on June 1, 2016. Until then, operators who held a valid POC prior to May 30, 2014 will be subject to the old licensing and monitoring regime, though these operators must still satisfy certain provisions under the new regime. New companies, however, are required to adhere to the new private operator regulations. The CBAA describes this as a “double standard.” It is one of a handful of concerns that the industry association has with the regulations. The CBAA maintains the proposed amendments are unfairly rigid, too complex, and open to misinterpretation. The CBAA is also concerned due to reports it has received that, instead of working towards compliance with the regulations, operators are now looking at workarounds, including non-Canadian registration or downgrading to smaller non-regulated aircraft. The worry from the CBAA’s perspective is that the regulations are forcing private operators out of a currently safe sector to situations that lack regulation and SMS. The CBAA has developed a number of fee-based tools to assist private operators achieve compliance. From a legal perspective, regulatory changes of this magnitude can create uncertainty. Aside from the interpretive problems noted by the CBAA, another issue for operators will be whether failure to strictly comply with each and every one of the new provisions will result in a fine or suspension of an operator’s license. If the answer is no, then when does non-compliance become sufficient for the Minister to step in? Operators (and their legal counsel) must continually evaluate how the regulator is interpreting and enforcing the new provisions. Failure to accurately predict the regulator’s actions can indeed be costly. Michael Dery is a partner and vice-chair of the Aviation Practice Group at Alexander Holburn Beaudin + Lang LLP.